November 21, 2016. 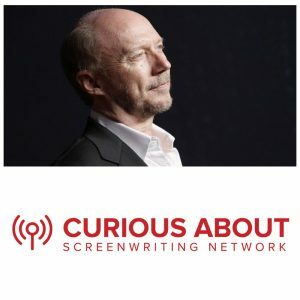 Just a few weeks after kindly inviting me to discuss story structure with him in a 90mn teleconference, Max Timm from the ISA (International Screenwriters Association) asked Oscar-winning writer-director Paul Haggis to talk about his work. You can listen to the interview here. I really enjoyed it. I admire Haggis very much and Crash is one of my favorite films, not only as a moviegoer but also because it's a true masterclass in screenwriting. Like most multi-stranded narratives, Crash doesn't use a classical three-act structure over the whole story, yet each strand is tightly structured in three dramatic acts using the fractal aspect of story structure. Haggis and his co-writer Bobby Moresco also use all the other screenwriting tools (planting & pay-off, visual storytelling, dramatic irony, surprise, mystery, suspense) to generate meaning, entertainment and emotion. 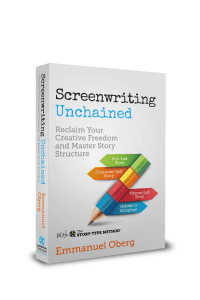 I wrote a detailed case study of Crash for the Developing a Theme-Led Story chapter of Screenwriting Unchained. I've decided to offer it here as a FREE download. 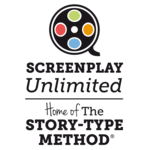 This 20-page document contains the story breakdown and full analysis, as well as a strands map of the film (additional 10-page PDF). You'll also have the option to download a free sampler of the book (first 50 pages), so if you're not familiar with the Story-Type Method® you'll be able to read the introduction and most of the first chapter.